To save, or not to save? Major Melbourne work by Keith Haring at risk. Again. In today’s Age, Thomas Dixon, who now chairs the Victorian Public Art Committee of the National Trust, and was the Chief Conservator at the NGV until his retirement in 2006, writes an impassioned plea for the preservation of the fast-deteriorating mural painted by American street artist, Keith Haring, located on the building that used to house Collingwood TAFE (pictured at left). It’s an imposing work of art, made all the more significant by the fact that Haring, who was out painting the subway stations and laneways of Manhattan when Banksy was but a glint in his (or her?) mother’s eye, died tragically early and a great bulk of his major work was exposed to the elements and has since disappeared or been damaged beyond repair. In terms of his corpus, the TAFE mural, which he painted during a visit to Melbourne in 1984, is very important indeed. In the British magazine, The Art Newspaper, it was described as ‘the last in the world painted entirely by his hand’. Elsewhere I’ve pondered the question of preserving and documenting street art, including the debate for and against intervention in the case of Keith Haring’s mural (here, and here). In summary, it comes down to deciding whether or not the integrity and preservation of the art object (the mural) should outweigh the value we place on defending the artist’s intention. Haring painted the mural outdoors, exposed to the elements, and did so because its impermanence/transience and eventual deterioration was an important part of the work itself. If the work is preserved or repainted, the argument goes, it undermines the artist’s message. Anyways, after a heated debate in the mid 1990s, it was decided that the best path was to treat the mural in order to halt any further deterioration. According to Dixon, the periodic maintenance that was required to extend the artwork’s life was not undertaken, resulting in further damage. It’s estimated that it will cost about $25,000 to stabilise the work, with about $1,000 annually to maintain its condition. A pittance, Mr. Baillieu, surely? How about making this your first order of business as Victoria’s new Arts Minister? Politicians aside, fear not! Direct from its salvation of Egypt from the clutches of dictatorship, the social media revolution has joined the fight! 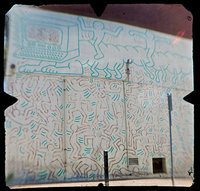 Yes – there is a Facebook page, ‘Save the Keith Haring Mural’ with 5,334 members. Join the fight now! 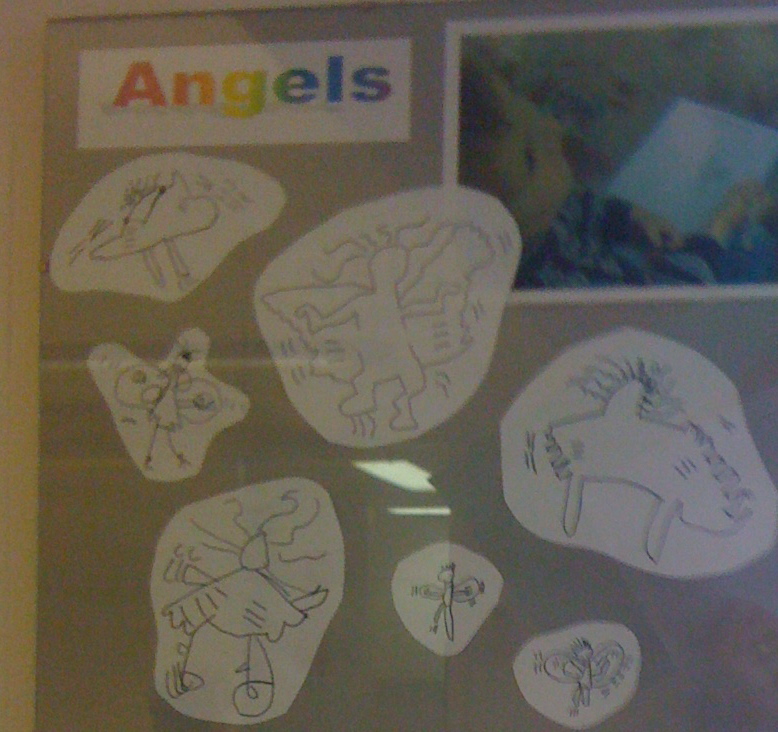 As an aside, everyone seems to forget the (admittedly far more modest) Angel that Haring painted on the wall of Geelong Grammar’s Toorak campus. It was originally on the external wall of one of the Victorian-era school buildings, but after the redevelopment of the site the mural was enclosed in a central classroom in the Early Learning Centre (kindergarten, for the uninitiated). Thank the heavens on high that whoever was overseeing the renovations took it upon themselves to ensure the mural survived the extensive remodelling of the building. 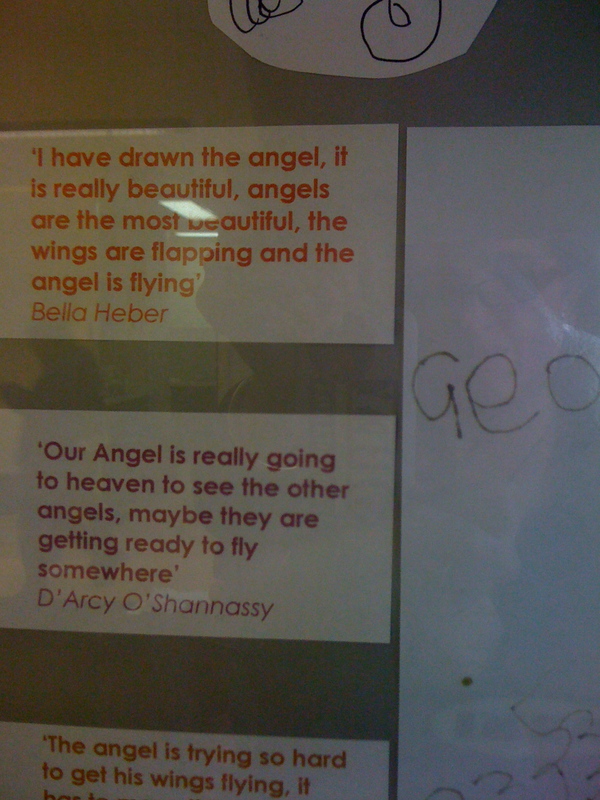 It is now preserved under a sheet of perspex, and is loved by teachers and children alike; a benevolent and gentle presence in a space filled by little people… and, yes, another in my long line of terrible phone photos, showing said angel, and some contributions from the kinder kids – reflections on the angel in their midst. The room is known as ‘The Angel Room’. 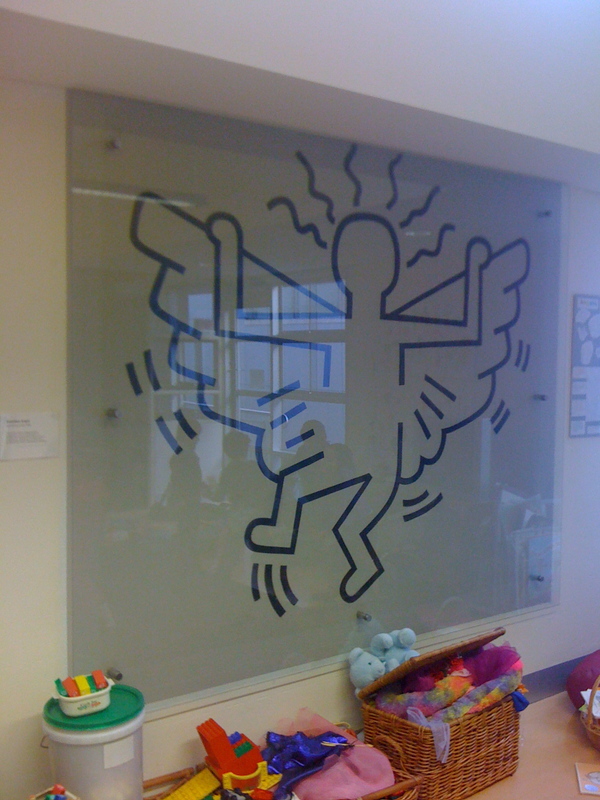 Not ‘Keith Haring’s Angel Room’, or ‘The Haring Room’. 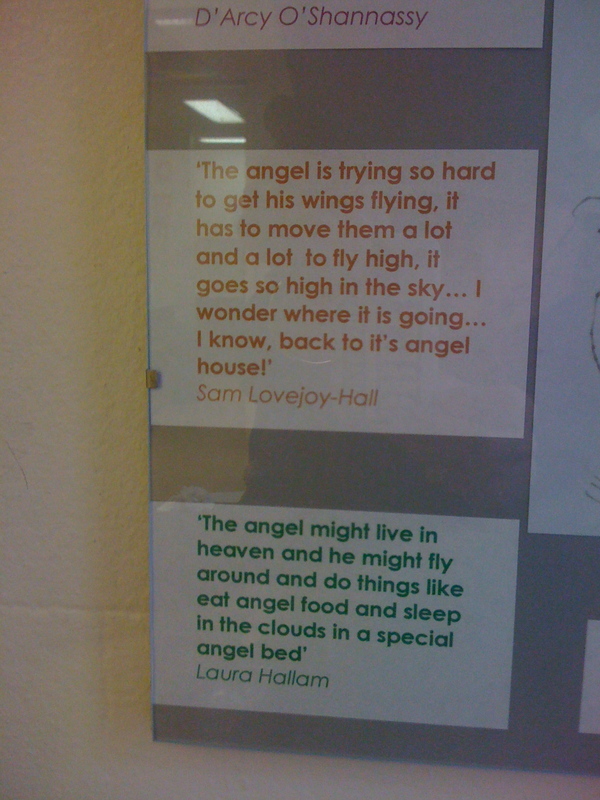 Just ‘The Angel Room’. It may be far removed from the artist’s vision, but in this context the artwork has assumed a new life and relevance to the people who live with it every day. It will endure in the minds of hundreds of little people, who grow into bigger people – many of who most probably don’t even know who painted the angel, or why it’s there. Which probably doesn’t really matter, one way or another. The Angel really has assumed a life of its own. When I’m feeling particularly sentimental, to me this seems to be a very good argument in favour of preserving works of art like this one. I could be very wrong, but I like to think that Keith Haring would have approved.